Police released a sketch of the man that attacked a 41-year-old woman jogger on the East River Park Promenade behind the baseball fields near Delancey Street late Thursday morning while jogging. 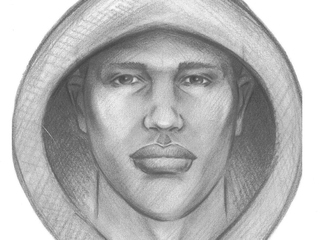 Police released a sketch of a man they believe attacked a female jogger on Thursday in broad daylight in East River Park. The woman, 41, was running along the promenade beside the East River and the baseball fields near Delancey Street, just before noon when she was grabbed from behind and thrown to the ground. Anyone with information is asked to call Crime Stoppers at (800) 577-TIPS (8477). You can also submit a tip by logging onto Crime Stoppers' website at www.nypdcrimestoppers.com or by texting your tips to CRIMES (274637), then entering TIP577.